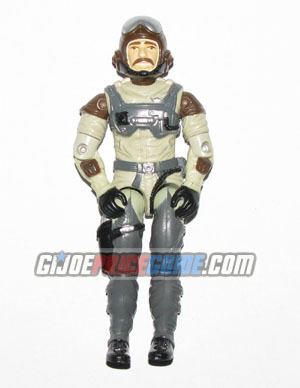 NOTES: Slipstream was the pilot of the 1986 GI Joe Conquest X-30 jet. The most common problem with Slipstream is missing nose paint. Slipstream will often have a chip of paint absent from his pointy nose. It's not too difficult to fix this problem as I have done to the figure pictured above.